Cash payment only. We regret that payments once made are NON-REFUNDABLE. Ian is a Fellow member of the Association of Chartered Certified Accountants (UK), a Chartered Accountant in Malaysia, and a Certified Financial Planner. CAT programmes. He is currently teaching Papers F5, F9, P5 for ACCA and T7, T10 for CAT. He understands students' needs well and his wide experience in the education industry has led to him to embark on teaching opportunities in countries like Singapore, Malaysia, Hong Kong, China, Vietnam, Brunei and Africa. 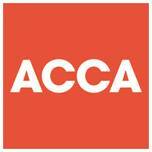 In addition, Ian conducts ACCA exam techniques and CPD workshops in Malaysia and Brunei. lan's simple techniques of teaching and organized way of explanation have made it simpler for students to grasp the most difficult aspects of financial management and management accounting theory. His high level of tolerance, patience, diligence and hard work has endured him to progress in the teaching industry over the past 12 years. His commitment and dedication towards teaching has enabled him to gain popularity amongst students across the ASEAN region who have undeniably rate him as one of their favourites!. To explain to ACCA students on Bsc Hons degree in Applied Accounting while they work towards achieving the ACCA Qualification, to explain the key features of Research & Analysis Project (RAP), to explain the RAP structure and content, to explain RAP assessment, and to explain the role of a mentor.